[Julz blog] The second best time to start your diet is TODAY! 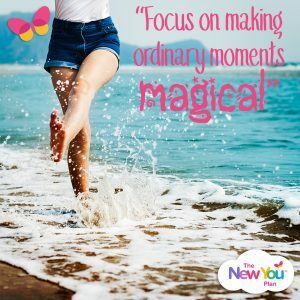 New You Plan Founder Julie-Ann discusses why TODAY is actually the best day to start your diet and how small steps will get you to your end goal. These feelings are so disempowering and make us feel depressed. We can’t achieve anything great starting from these emotions. We can’t change the past. Drink 4 litres of water. Go for a nice walk in nature. Look for the best in other people. Write out your goals & take a baby step towards them. Listen to music that lifts your soul or read a book that inspires you. Set your phone down; laugh and engage with the people you love. Have conversations that inspire you. 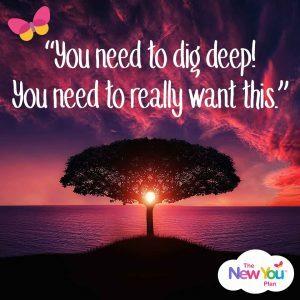 Getting started is the first step in your journey to a brand New You! 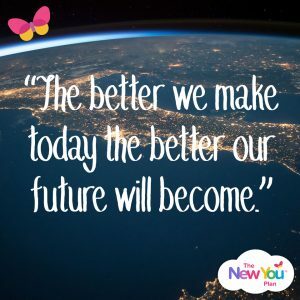 To help you understand fully how our plan works, our Get Started page was designed specifically for people new to the plan.